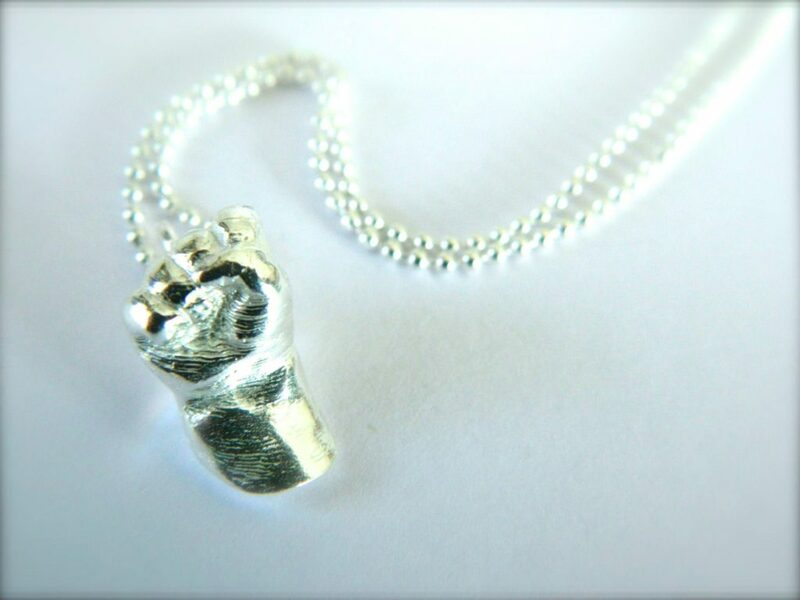 I believe I am the FIRST and ONLY BUSINESS in Scotland to offer miniaturised silver casts, Impressive!! How can I own these luxurious Tiny Treasures? Order your Tiny Treasures NOW and be one of the elite owners of these amazing little works of art. 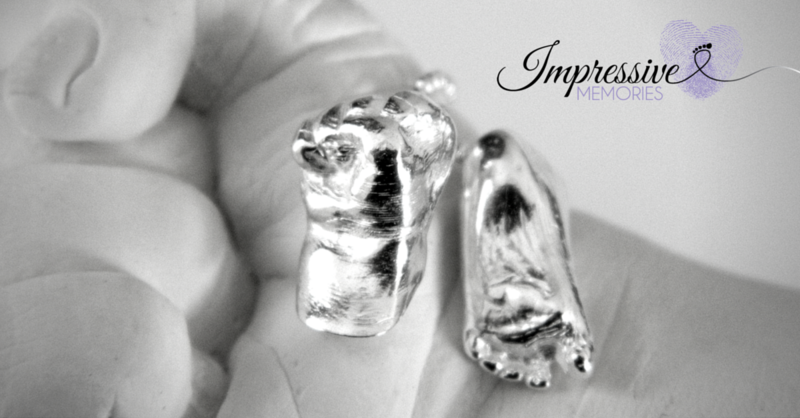 This offer is available to impressive customers…As soon as you purchase this we will arrange a casting session at my studio, I will work my magic and you will be the proud owner of a beautiful set of TWO TINY TREASURES on a necklace. Your casts will be taken at the first payment so the memory is created. You then have time to enjoy watching your baby grow up, knowing that a memory has been captured. The magic will all be happening here at my studio, and once your payments are complete you will be reunited with an Impressive Memory that will be even more precious, as you have patiently waited to be the very proud owner of a truly beautiful and unique Tiny Treasure. Can I have just one Tiny Treasure? Order ONE Tiny Treasures NOW. This offer is only available to impressive customers. 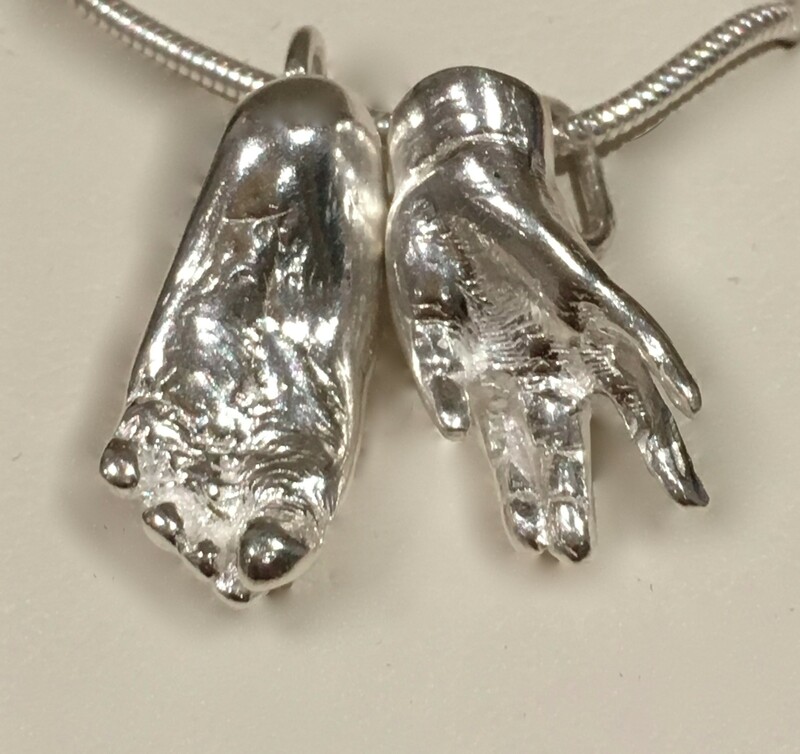 As soon as you purchase this we will arrange a casting session at my studio, I will work my magic and you will be the proud owner of a beautiful little TINY TREASURE on a necklace. The most affordable option for the more patient people. Your cast will be taken at the first payment so the memory is created. You then have time to enjoy watching your baby grow up, knowing that a memory has been captured. The magic will all be happening here at my studio, and once your payments are complete you will be reunited with an Impressive Memory that will be even more precious, as you have patiently waited to be the very proud owner of a truly beautiful and unique Tiny Treasure. As I was developing my technique to make Tiny Treasures, I only told a few close friends about them…(incase I didn’t manage). One of those people was the very lovely Sophie Jewery. Unbeknown to me, a friend of Sophie was facing an ordeal that no parent ever wishes to face. 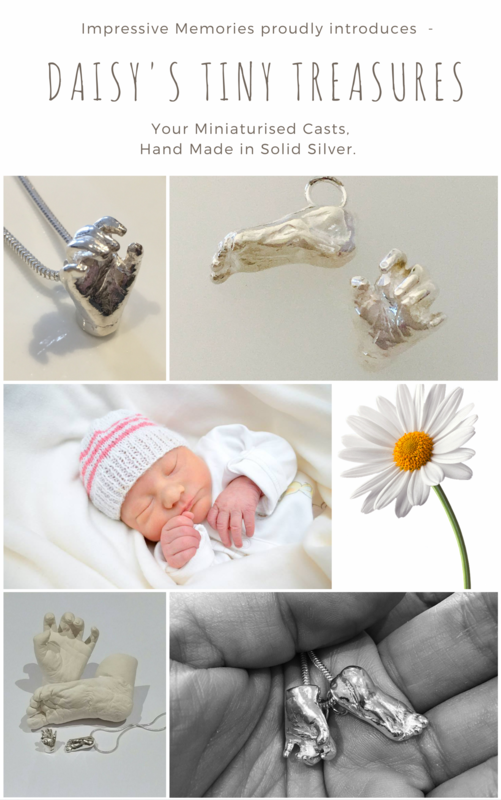 Sophie showed Daisy’s mum the first set of Tiny Treasures Id made, and knew it was something that every mum would adore, but for a mum who has lost her baby, they are true treasures. Sophie knew I offered casting to parents who lost their little ones and she knew I needed a cast to create “Tiny Treasures”. Our mission began! After various phone calls between Fife and Norwich, it was arranged that a local hospice would create casts for Daisy. These were sent to me a few weeks later and that’s how I was able to create her miniaturised 3D charms. 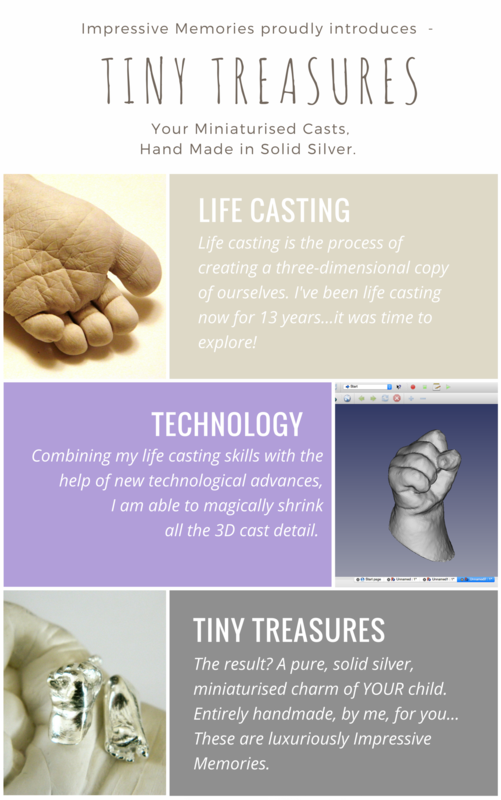 Who else makes 3D miniaturised casts? There are a small handful of businesses within the UK, all in England, who currently offer this service. Please feel free to ‘Google’ this and compare the huge price variation to my work. The reason I have been able to do this is due to using a different technique to create the charms. It is still a highly complex process that requires technical knowhow, skill and patience. Are they only available in silver? Just now, yes! Who knows what impressive developments will come in the future though! Tiny Treasures do not need to be hallmarked as they are under the legal weight requirement. If this is something you wish to have done, get in touch and I can explain more about this. Yes!! After you have the initial set are created I can then make multiples if you wish, AND offer discount! ***Terms and Conditions – please read carefully before purchasing.